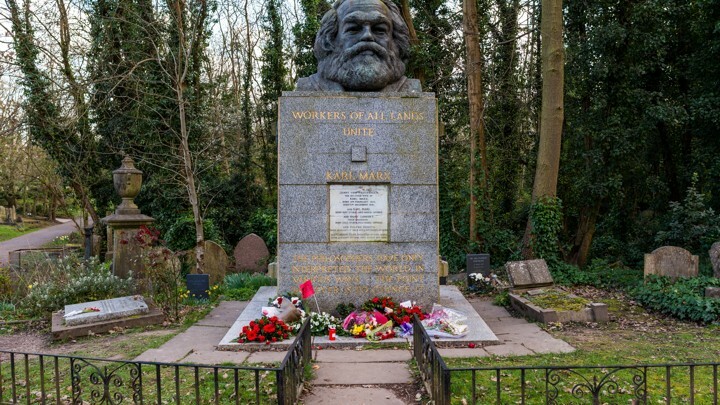 London: Tomb of Karl Marx at Highgate Cemetery here has vandalised on Wednesday. This targeted attack with supposedly a hammer has left the monument permanently damaged. 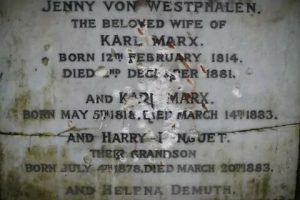 The tomb of Karl Marx is a Grade I-listed monument which means that the building is of exceptional interest and will be treated with the utmost importance. The caretakers at the burial ground are not sure when the attack occurred. Sometime in the last few days, they believe. The police have been alerted, but there are no suspects and no CCTV surveillance footage. They have no idea why the vandal struck, except one assumes, an extreme dislike of communism, or Marx’s writings on capitalism and class struggle. Karl Marx ( 5 May 1818 – 14 March 1883) was a German philosopher, economist, historian, sociologist, political theorist, journalist and socialist revolutionary. Marx’s theories about society, economics and politics – collectively understood as Marxism – hold that human societies develop through class struggle.